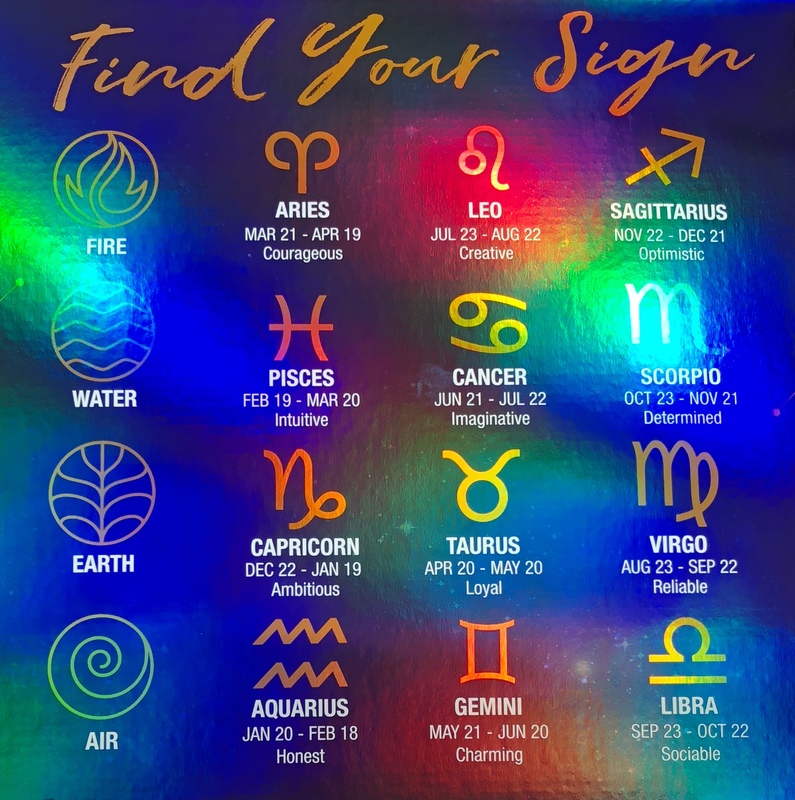 It’s true that Zodiac signs provide pretty accurate descriptions for people. In terms of nature, personality traits, etc. I am an Aquarius and I match the overall description pretty dang well. 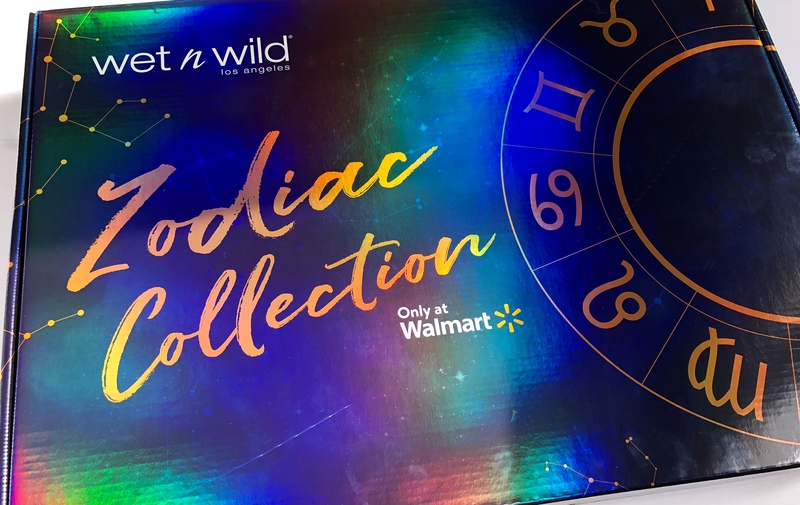 Regardless of whether you believe in horoscopes or not, I assure you that you’re bound to be drawn to one or all of the pieces in the Wet N Wild Zodiac Collection. 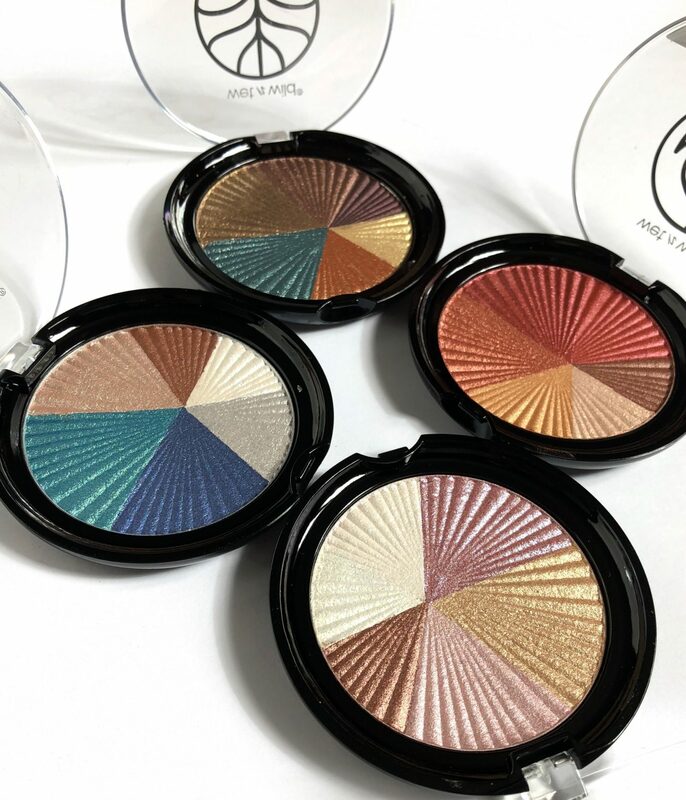 Beginning this collection review with the Color Icon Eye shadows. 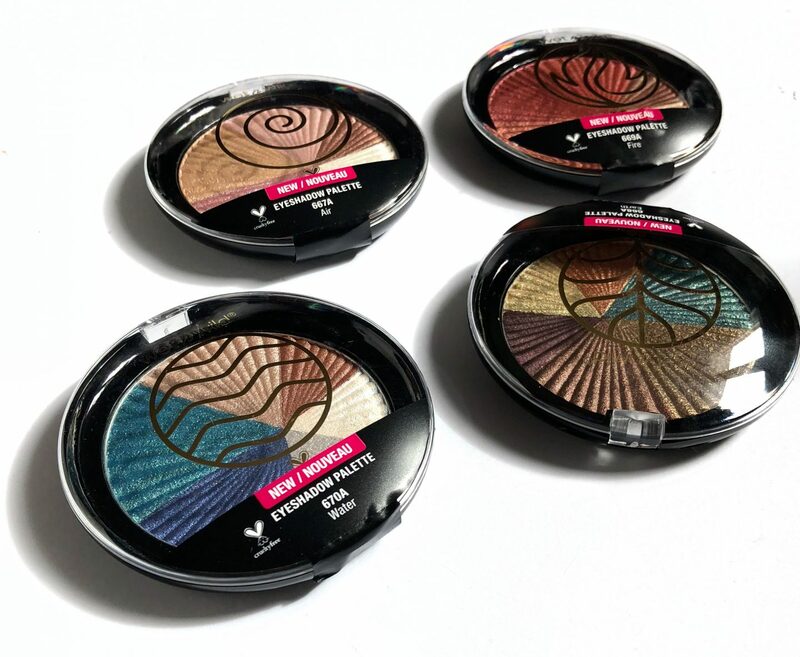 These are definitely different than Wet N Wild’s usual eye shadow palette arrangement. Instead, colour wheels inspired by the 4 elements; Earth, air, fire, and water, have been fused together into one. 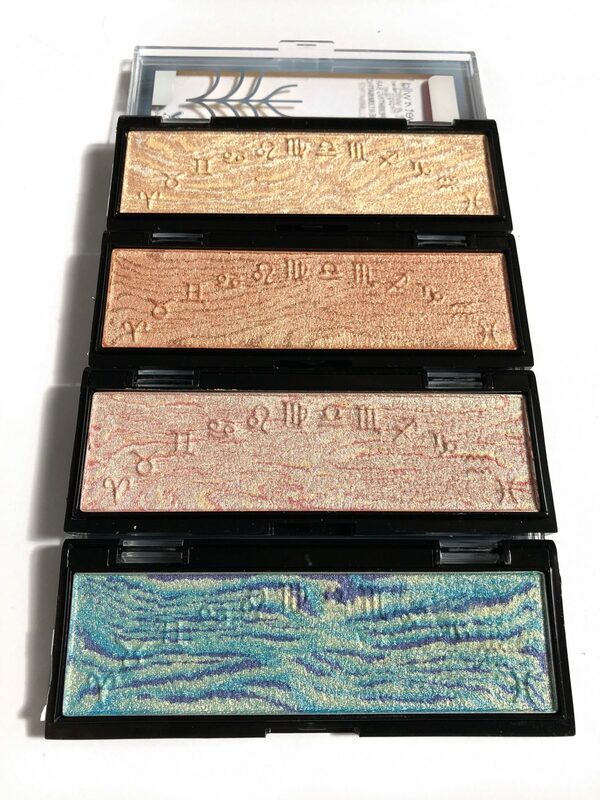 All four palettes contain metallic shadows. 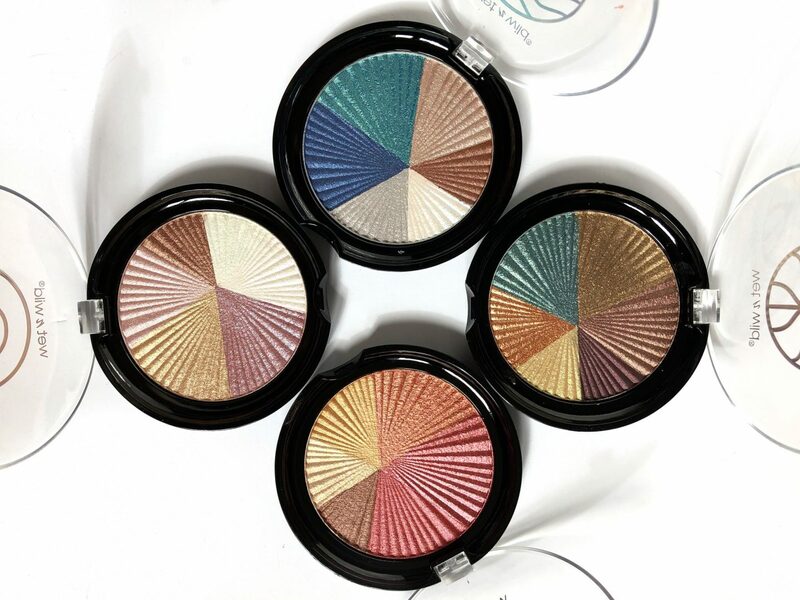 Each shade varying in size, with some larger than others. 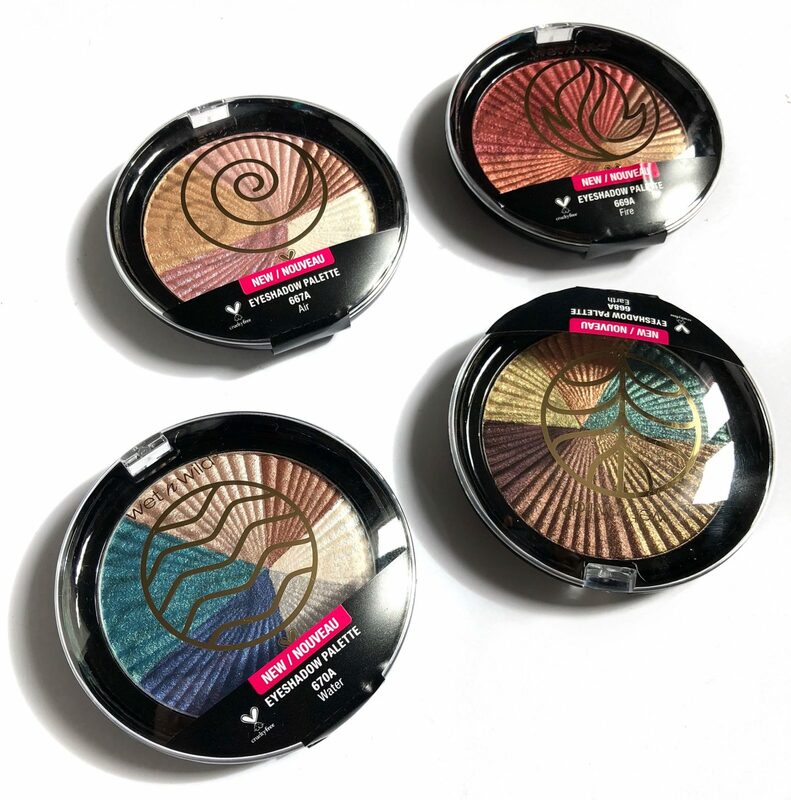 The shadows are rich in pigment and are absolutely stunning! I highly suggest using an eye primer or spraying your brush with fix plus to minimize fall out. 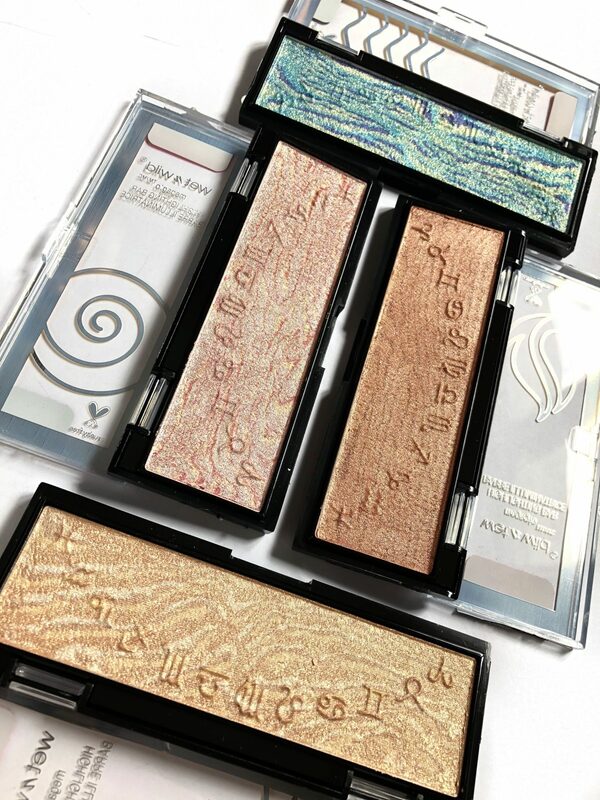 Wet N Wild’s MegaGlo Highlighting Bars are also inspired by the 4 elements. 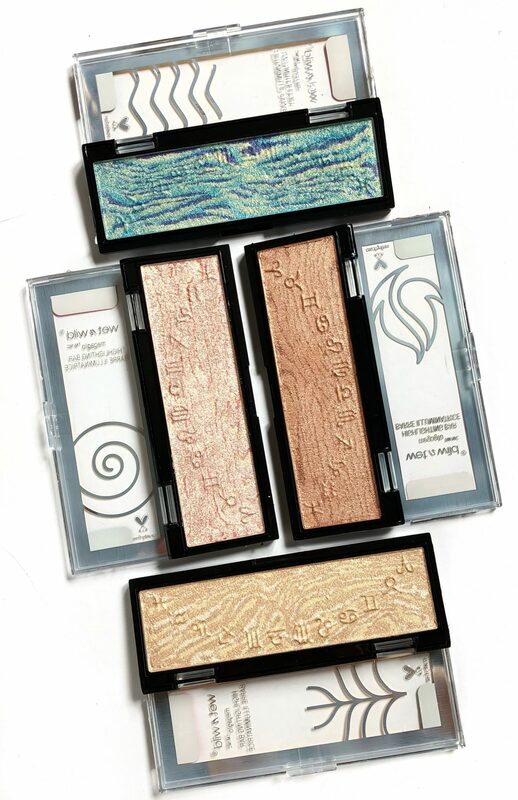 Each shade has a marbleized effect with horoscopes pressed into them. 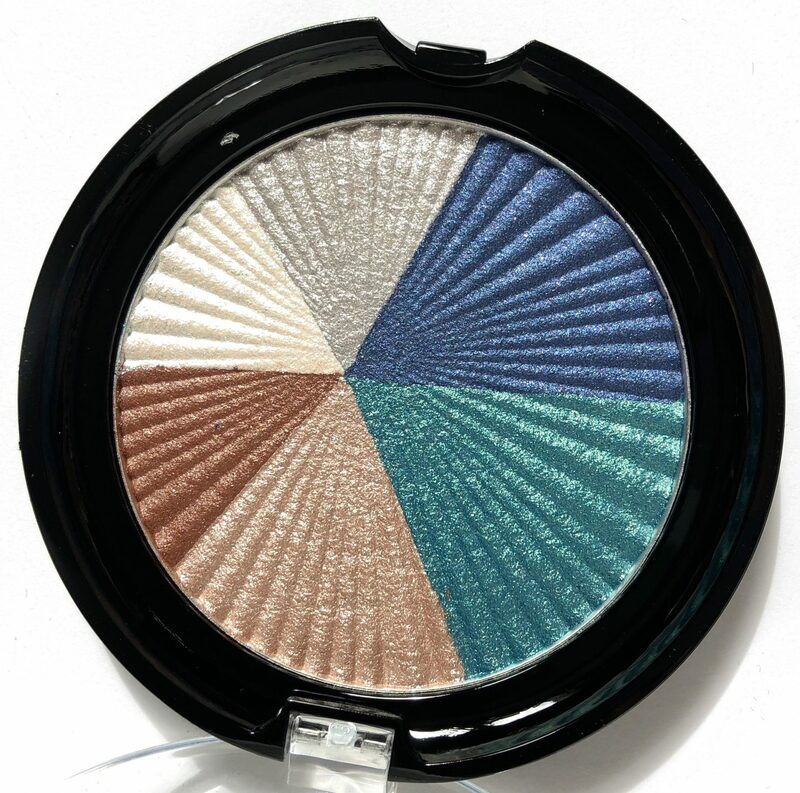 Shades like the Ocean-blue bar encourage makeup lovers to explore outside of their element. 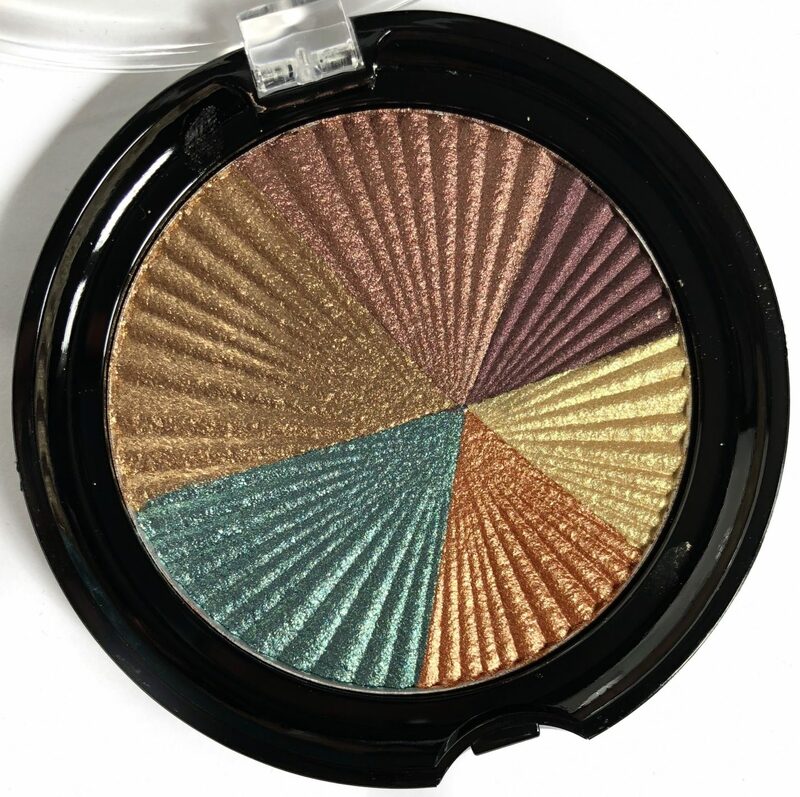 Since I’m not much of a risk taker when it comes to makeup, the more boldly coloured bars, double as eyeshadows for me. 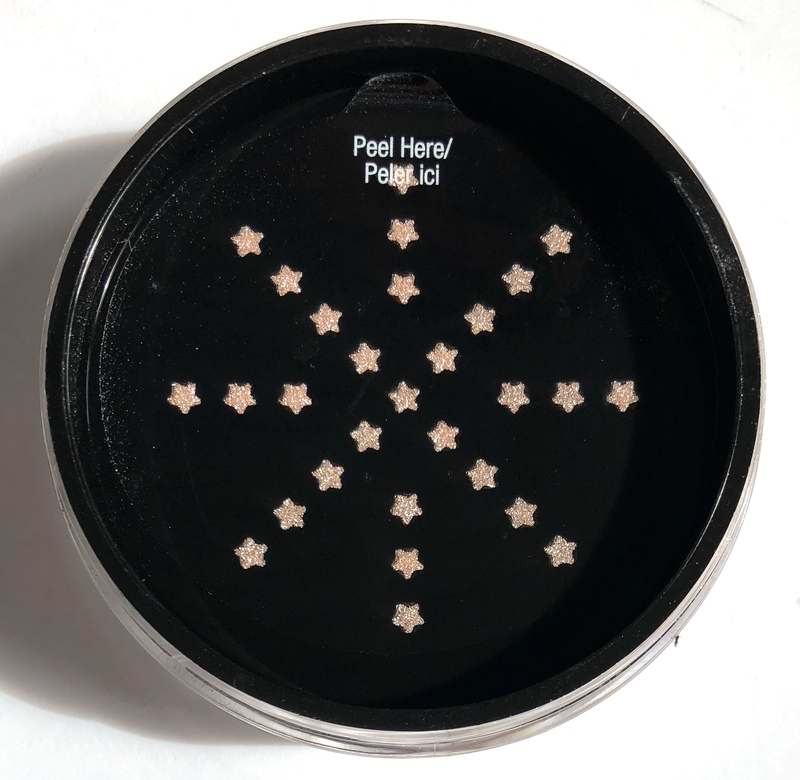 One of my favourite pieces from the collection has to be the MegaGlo Loose Highlighting Powder in the shade Written in the Stars. 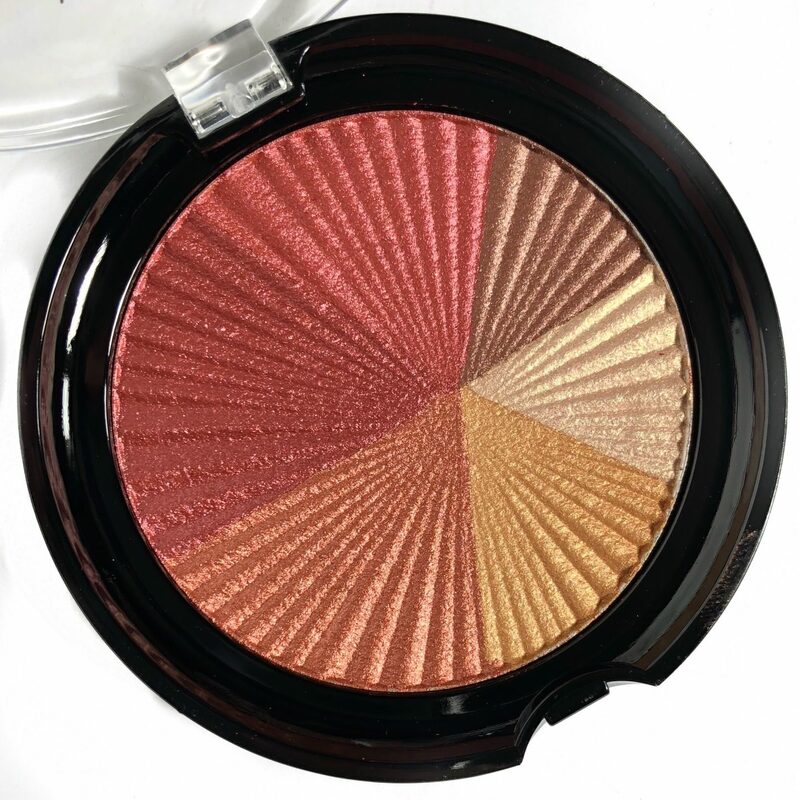 A stunning champagne-pink shade, that packs an immense amount of sparkle. 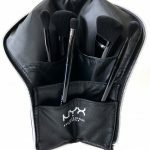 Ideal for use on both the face & body. 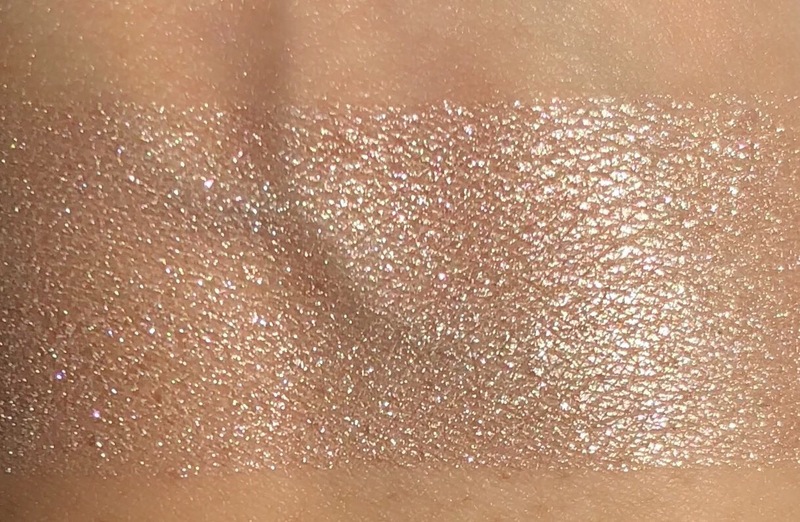 It has tiny star cutouts that dispense this stellar highlight. 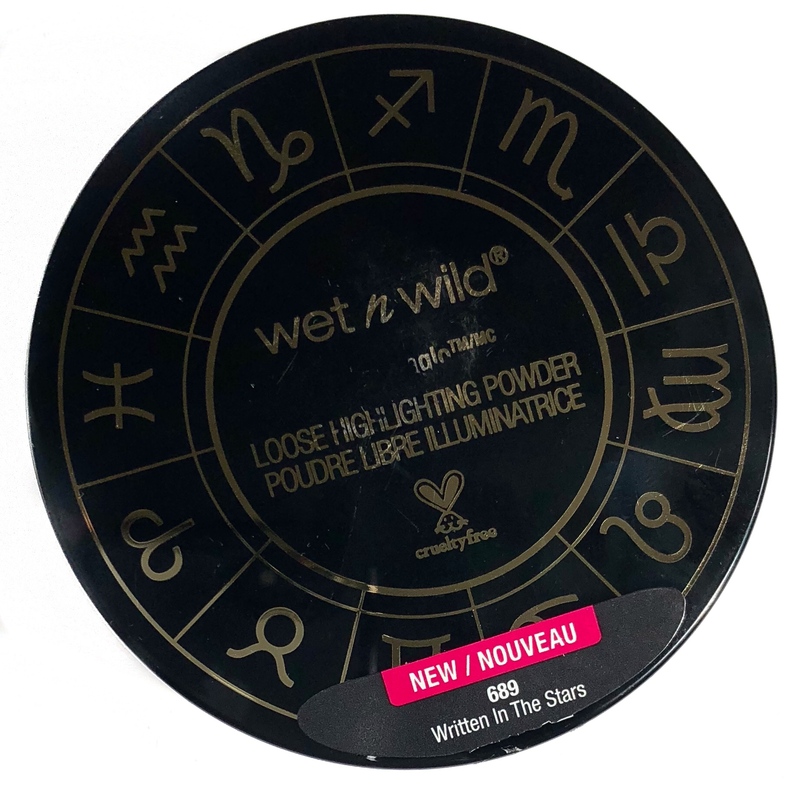 Although it’s powder-like, it has an almost wet-like texture that really helps it to adhere to the skin. 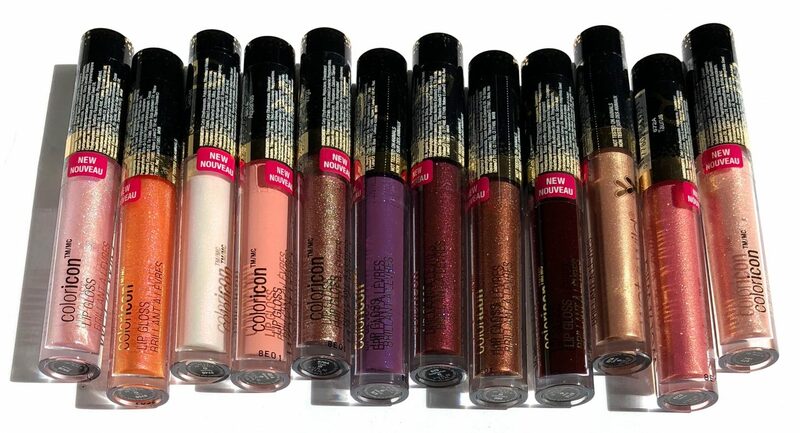 Lastly, but definitely the heart of the collection is the ColorIcon Lipgloss. 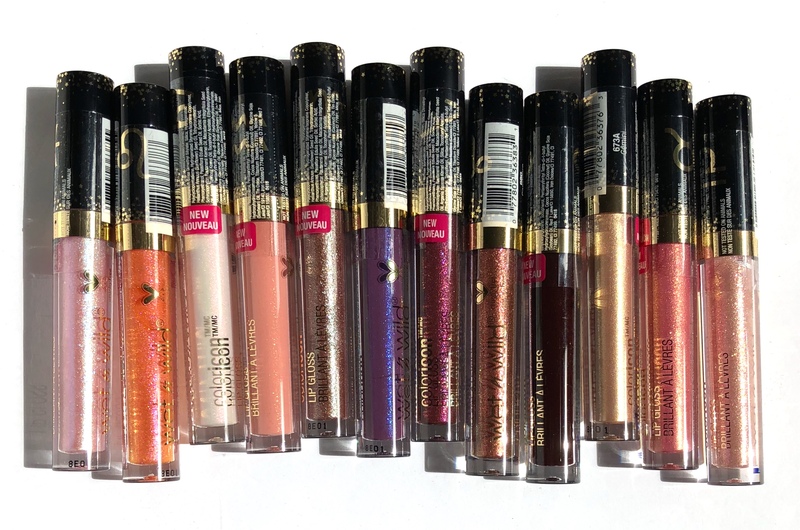 12 glosses unique to each zodiac sign. 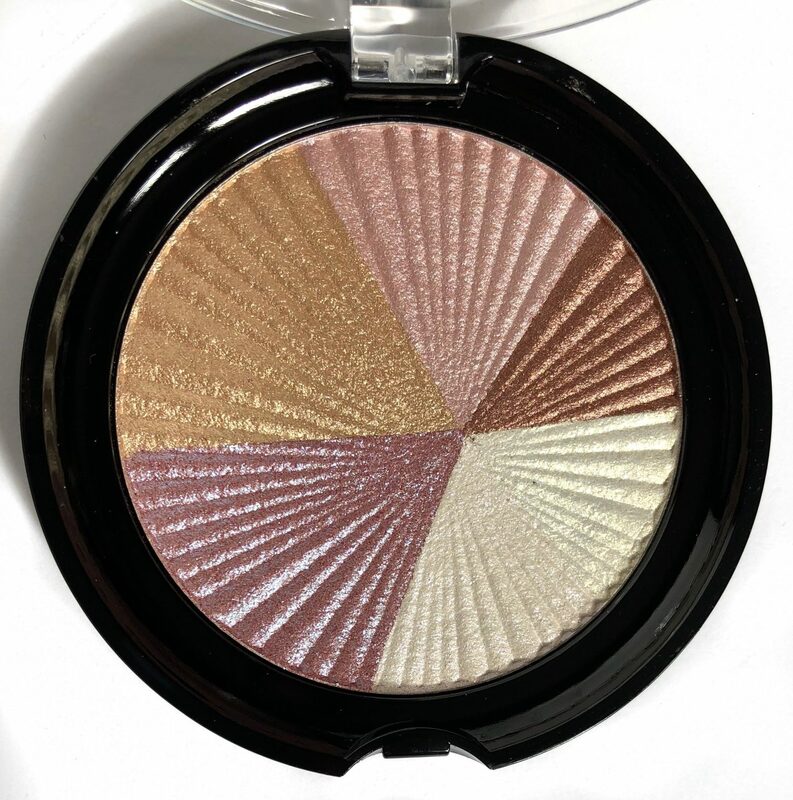 The glosses vary in finishes such as holographic, shimmer and semi-opaque. 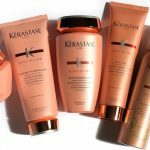 They’re formulated with Argan, Macadamia, and Jojoba oils. 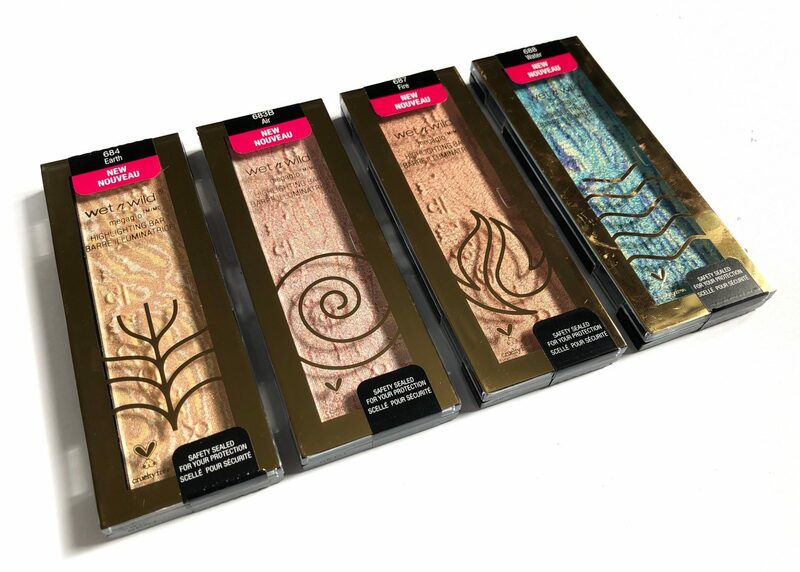 Products can also be purchased as bundles, comprising of a Fire, Water, Air and Earth bundle. Each of the pieces in the Zodiac Collection range from $3 to $7. 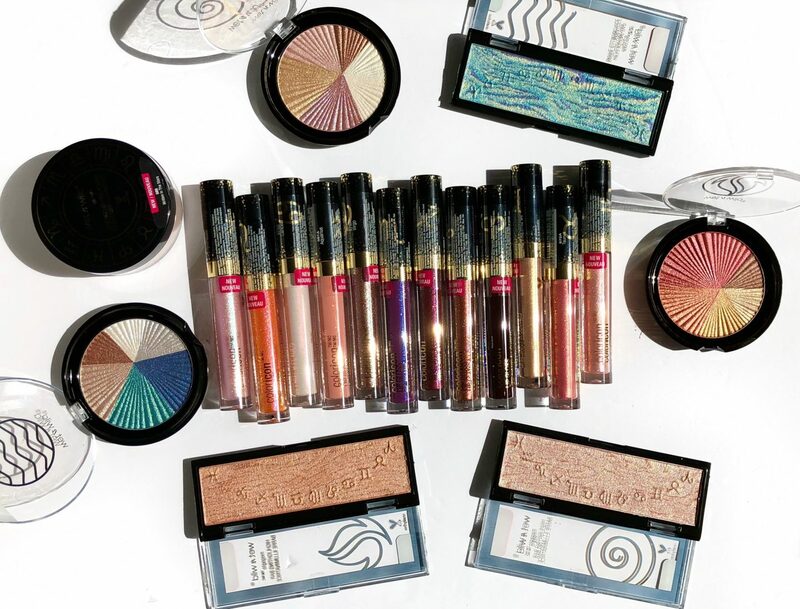 This collection is exclusively available at Walmart and wetnwildbeauty.com.